This Design I call the “Sand Ripple” as it reminds me of the ridges on the sand after the tide going out. It reminds me of the patterns on a nearby beach Waterford Ireland where we live. I get a lot of inspiration there walking my dogs Kelly and Amber. 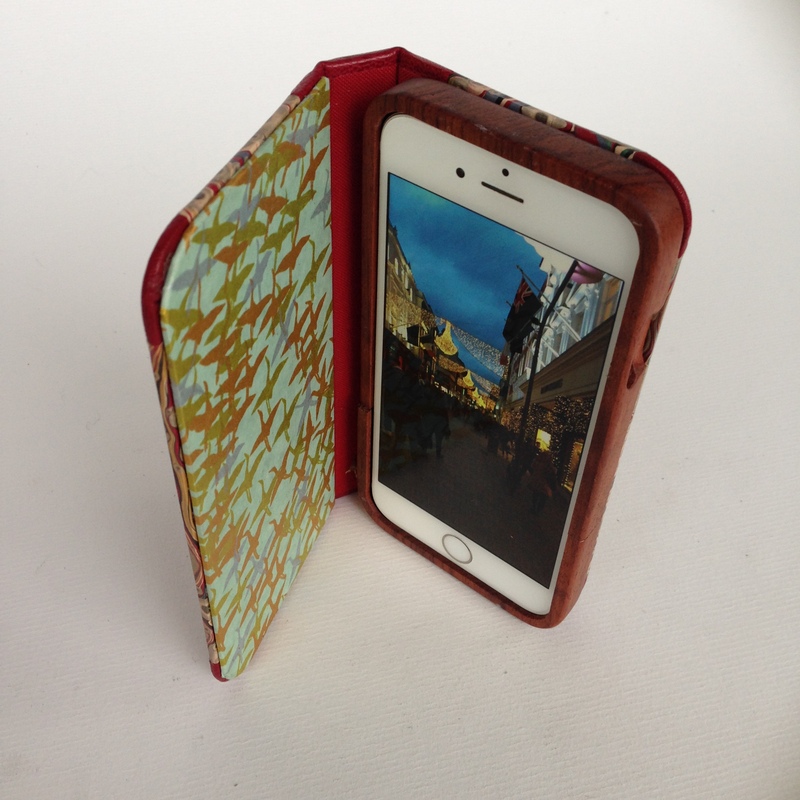 I have used 3 differnt colour choices for this case turquoise or a Deep red or Apple green . 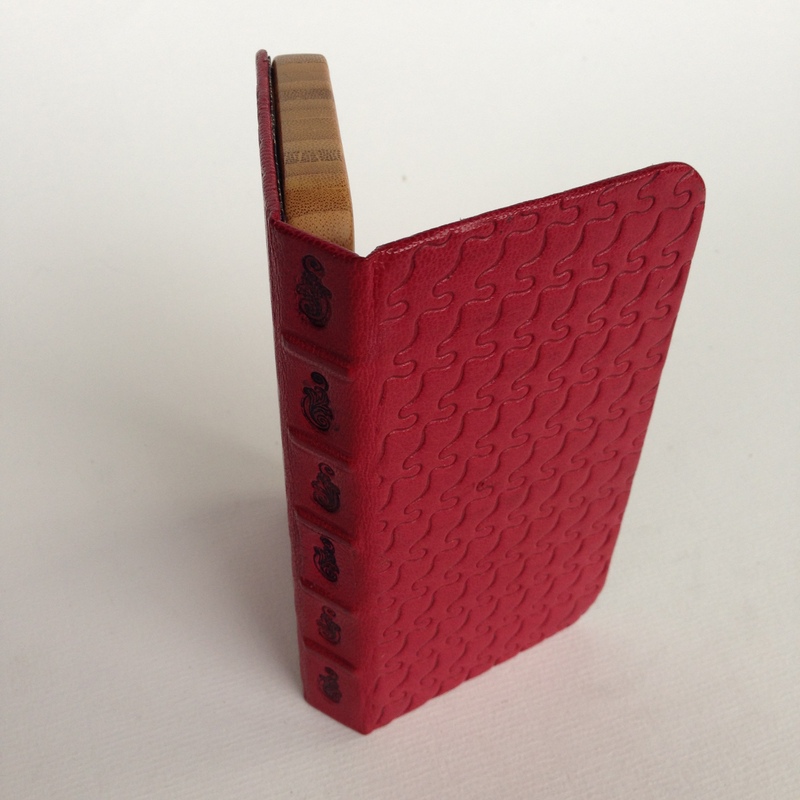 The ripples are embossed by hand with a tool I made specifically and has a beautiful feel and texture to it. 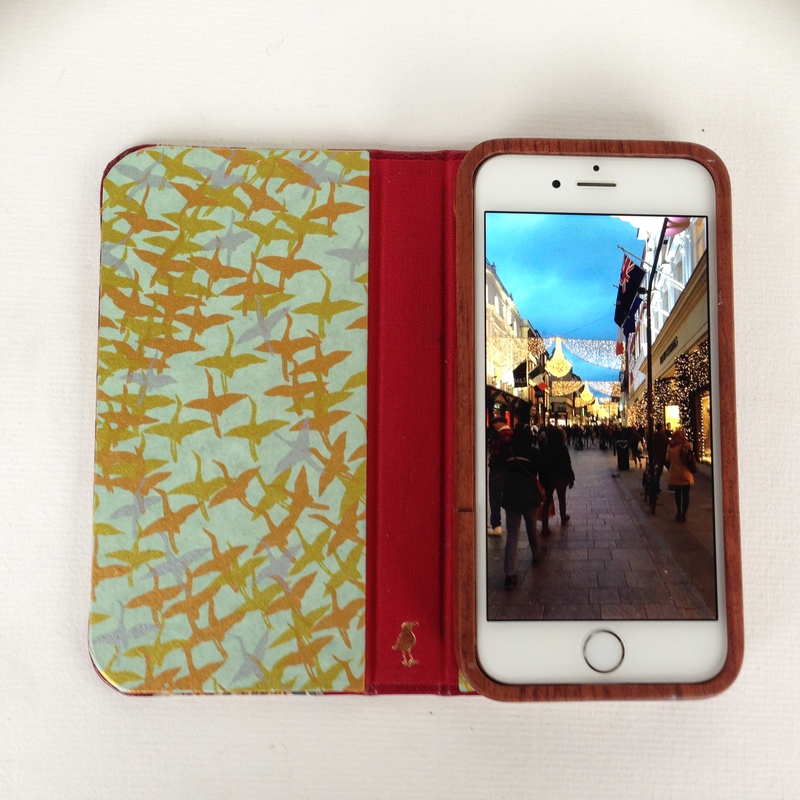 When you open your case a beautiful handmade Japanese paper compliments the design, with the phone housed in a protective Walnut wood case . This case has a real Japanese style to it and recently sold one to a couple from Tokyo visiting Waterford . 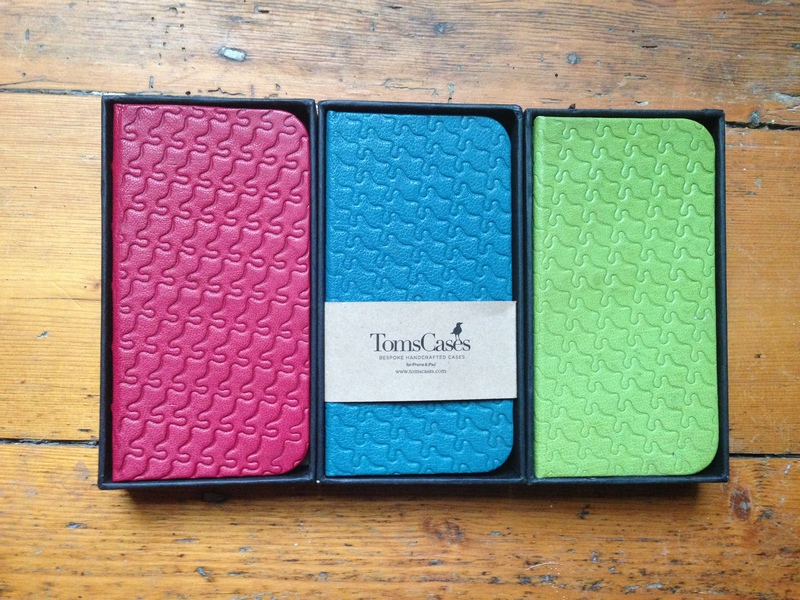 Tomscases provides a good safe bespoke case to keep your iPhone safe and secure. The housing (frame) is carved from solid bamboo known for its strength and lightness. 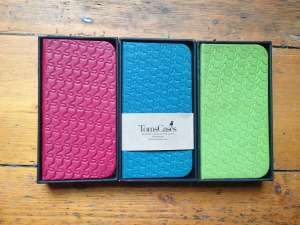 Tomscases offer a wide choice of designs and finishes which are individually crafted for you to order according to your preference.